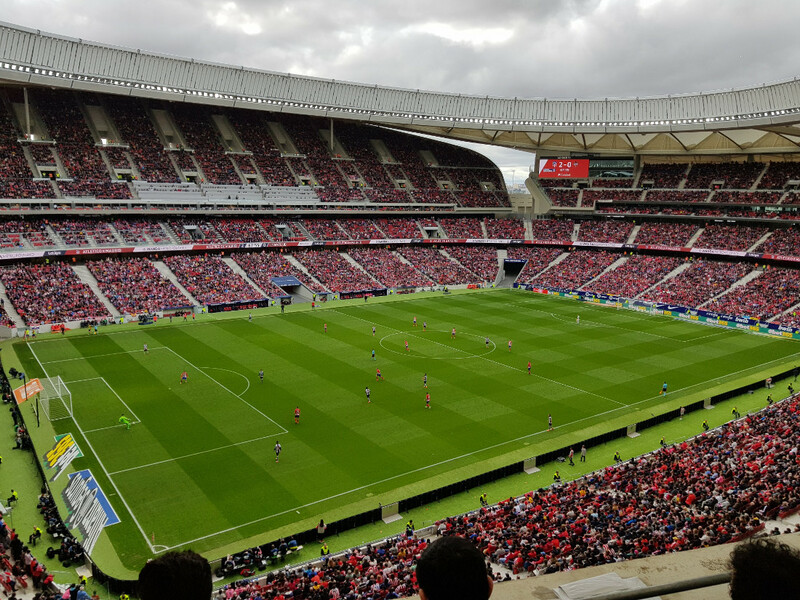 Wanda Metropolitano is the recently opened new stadium of Atletico Madrid. 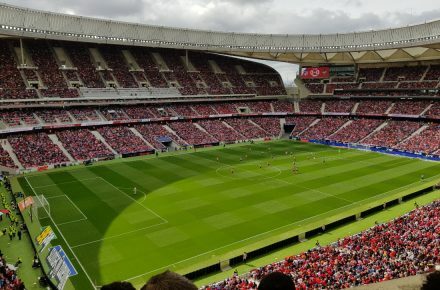 It replaced Estadio Vicente Calderon, which lacked possibilities for expansion and modernisation being enclosed by a river and a motorway on one side and residential buildings on the other. 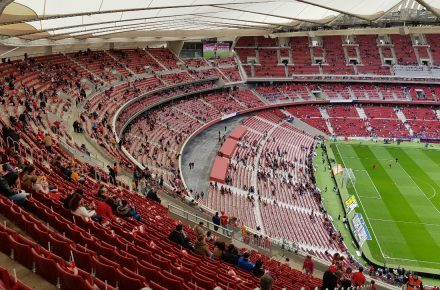 Concrete plans for the stadium were presented in late 2011, then still in combination with a Madrid bid for the 2020 or 2024 Olympics. 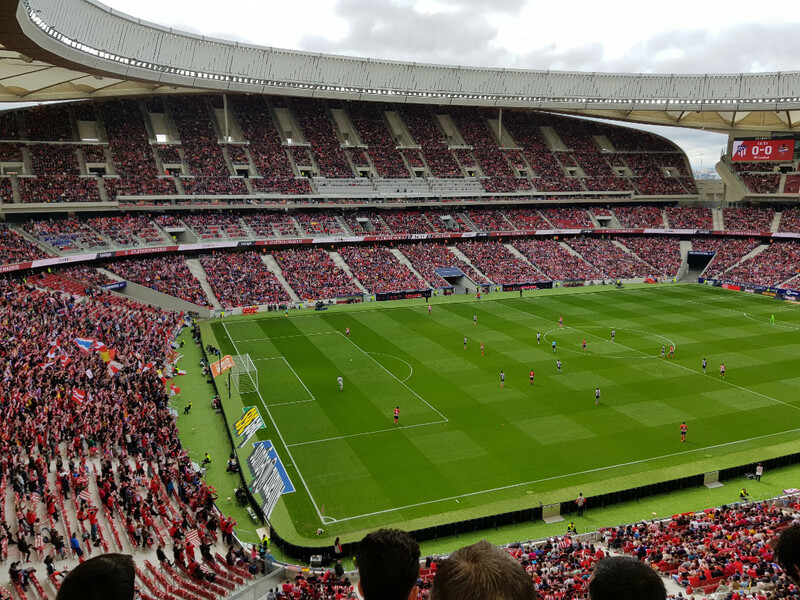 While the stadium was designed as a football-specific stadium with the stands close to the pitch, plans allowed for the temporary construction of an athletics tracks on top of the lower tier. 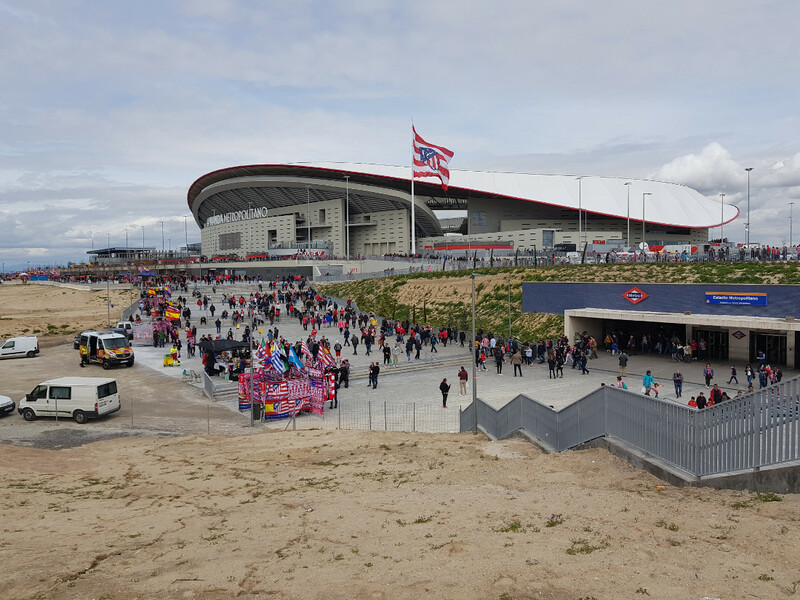 The stadium got built on the site of Estadio La Peineta, an athletics stadium with one large concrete stand. Parts of that stand were incorporated in the design of the new stadium, while the rest was demolished. 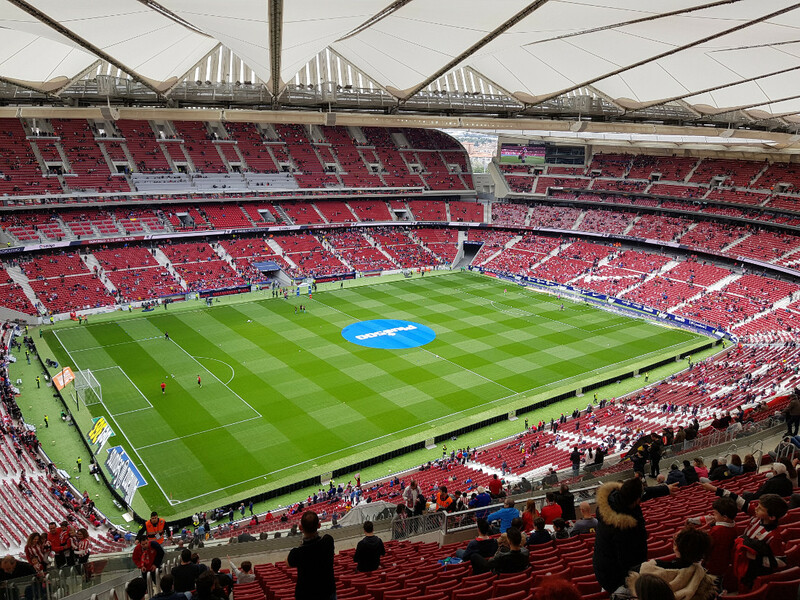 The project was partly financed through the sale of the land of Estadio Vicente Calderon. Initial building works started quickly after the club announced its plans in 2011, but progressed slowly. The club had initially set an estimated completion date for 2015, but this was later moved back to 2017 due to the failure of the olympic bids and subsequent funding difficulties. 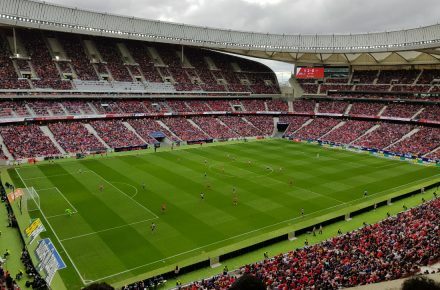 In December 2016, Atletico announced that their new stadium would be called Wanda Metropolitano, with Wanda being the sponsor name and Metropolitano a reference to their first proper stadium, Estadio Metropolitano. 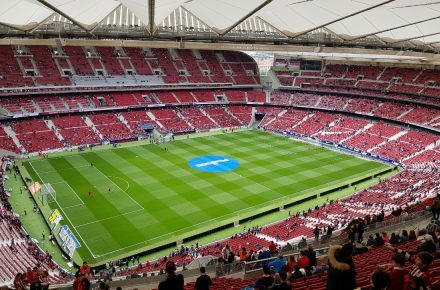 Wanda Metropolitano officially opened on 16 September 2017 with a league match between Atletico and Malaga (1-0). 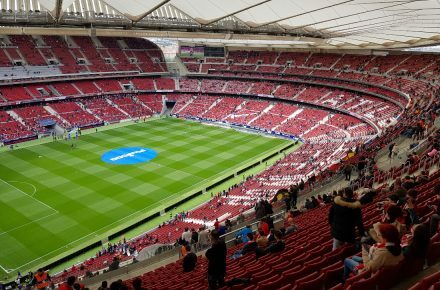 Wanda Metropolitano has been selected to host the 2019 Champions League final. 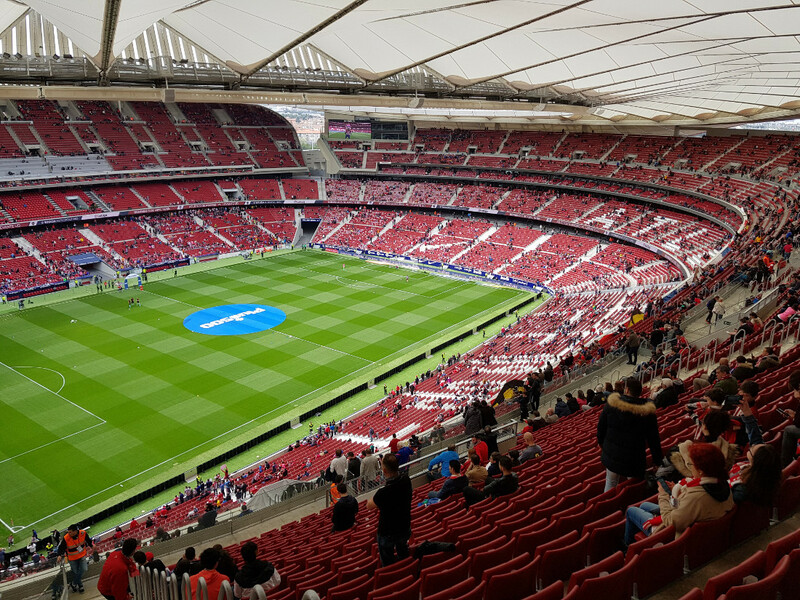 Wanda Metropolitano is located in the north-east of Madrid towards Barajas airport at roughly 10 kilometres from central Madrid. The stadium is easily reached by metro. Station Estadio Metropolitano lies right next to the stadium. 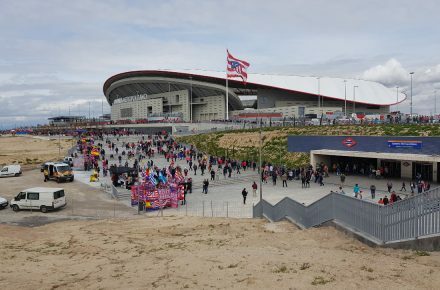 Estadio Metropolitano is a stop on the orange line 7, which runs north of central Madrid so from central Madrid a change is required at, for example, Pueblo Nuevo (line 5), Avenida de America (line 4, 6, and 9) or Gregorio Maranon (line 10). Station Las Musas, also on line 7, is also at short walking distance from the stadium. 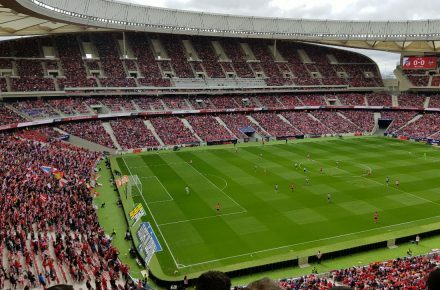 Alternatively, the stadium can about just be walked to – about 25 minutes – from station Torre Arias, which lies on line 5. 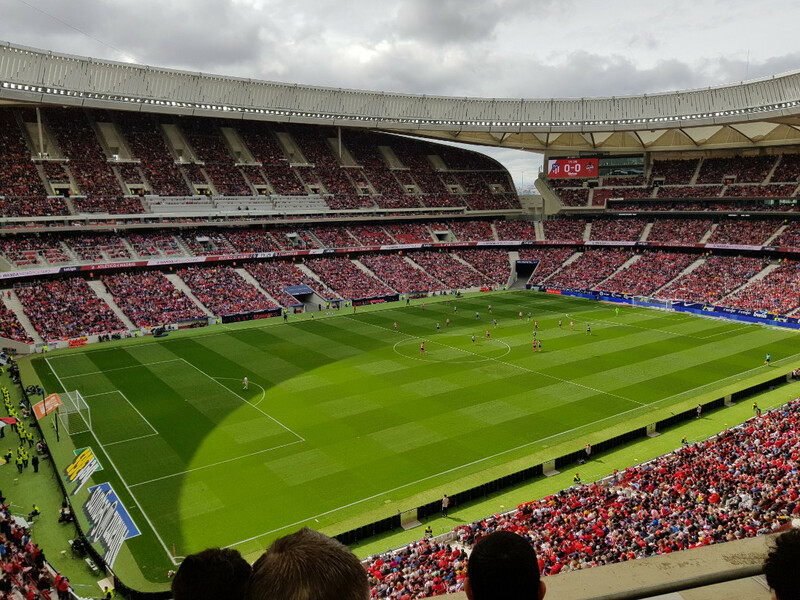 Whereas the old Vicente Calderon was located in a charming neighbourhood, the area around Wanda Metrpolitano is less appealing. 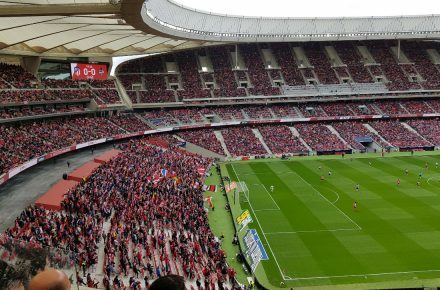 Enclosed on one side by a motorway, and the other by a rather anonymous residential neighbourhood consisting of rows of large apartment blocks, it is no wonder that Atletico fans were reluctant to move here. 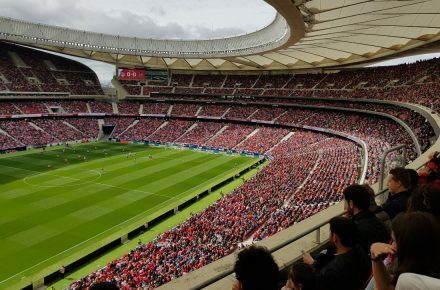 Of course, it being Spain, there’s the odd local place to eat or drink, but overall there is little reason to head to the stadium long in advance of the game. 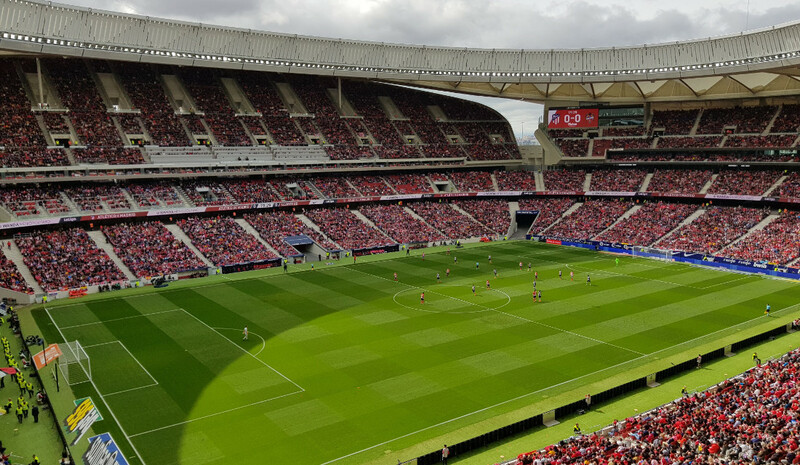 There are no hotels directly near Wanda Metropolitano, though there are a few options a little further out in the San Blas area that are about just at walking distance (about 30 minutes). These hotels include Ilunion Alcala Norte, Ibis Madrid Valentin Beato, Ibis Budget Valentin Beato, and the Occidental Madrid Este, which all get good reviews. Click here for an overview of hotels in the San Blas area near Wanda Metropolitano. 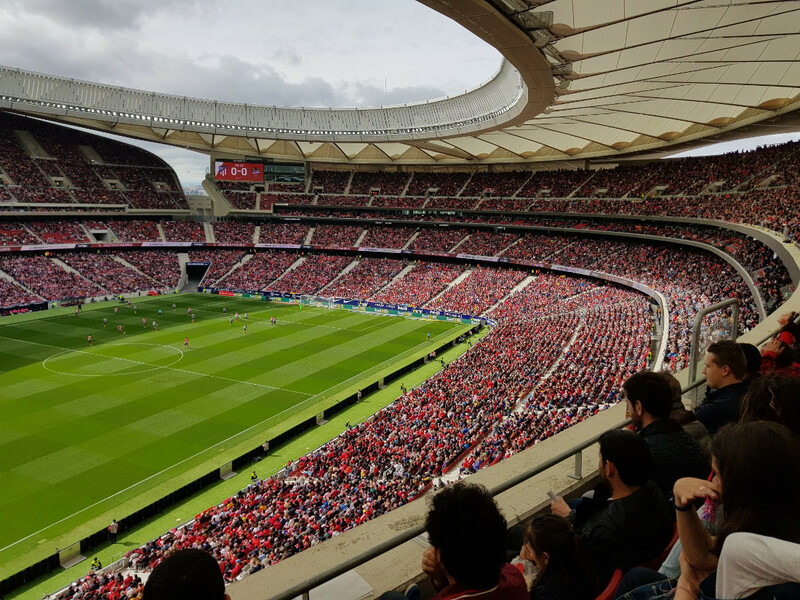 Of course, since the stadium is easy to reach by public transport, you can just as well pick a hotel elsewhere in Madrid – click here to explore the options. 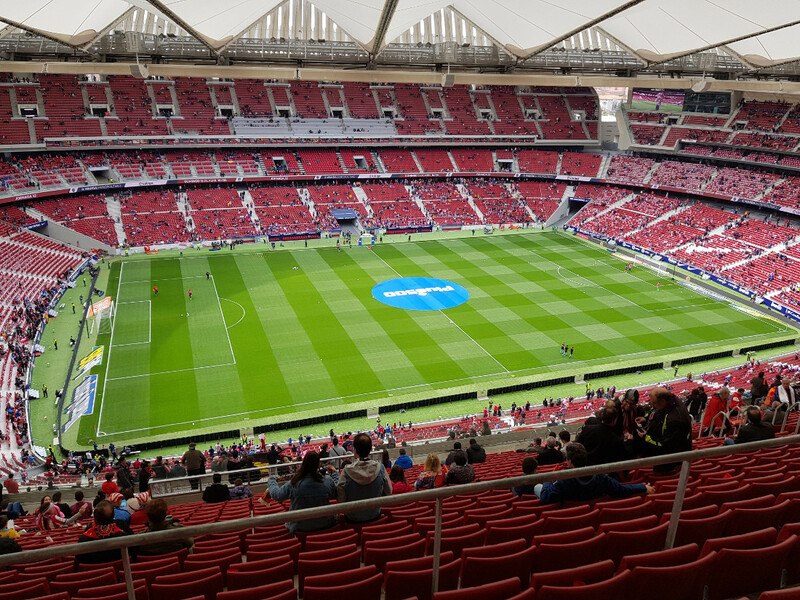 Tickets for Atletico Madrid games can be bought online through the club website or through the entradas.com portal. 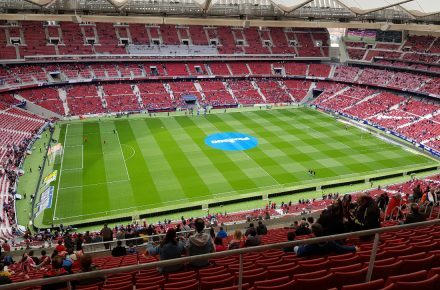 Prices can depend on the opponent, but expect to pay from €60.00 for an upper tier seat behind the goal to €150.00 for the best seats at the main stand for a regular league match. 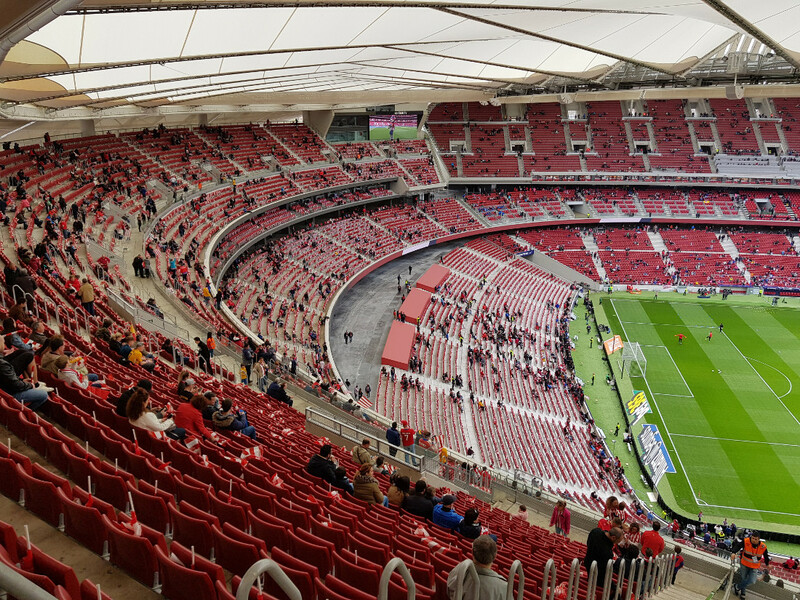 Most lower and middle tier seats behind the goal and on the sides tend to go for €80.00 to €100.00. 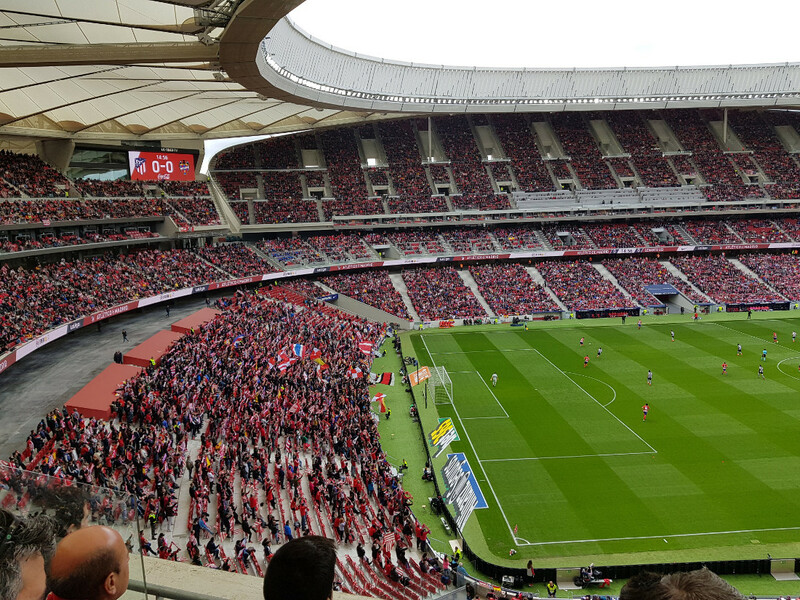 A few upper corner seats at the old La Peineta stand go for €40.00 Expect to pay more for high-profile games. Went to watch copa del rey game against lleida. The game itself was not the best( atletico won first leg 4-0 so it was already decided before the second game). Stadium is beautifull and metro is just outside. Tickets are available from tickets booths( mine was €30). I did No see any programs being available. There is a shop outside the stadium as well. Check for club organized activities before and after the match in the stadium surroundings.